In their dedicated commitment to rebuilding and roofing Los Angeles and Orange County communities, one roof and one job at a time, Chandler's Roofing announced today that it was making a full pledge to the All-American Home Initiative which encourages contractors across the US to use 5 percent more American-Made products in an effort to rebuild America while creating up to 220,000 jobs. 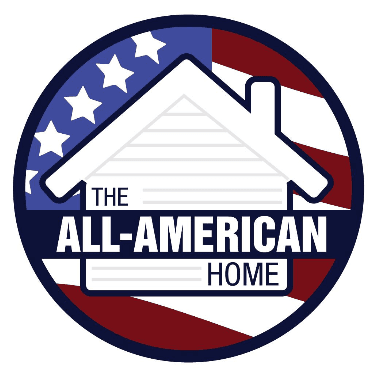 Chandler’s Roofing, the leading roofing contractor in Los Angeles and Orange County, announced today that it took the “5% Pledge” with the All-American Home Initiative, committing to using 5 percent more American-made materials in their roofing projects throughout Southern California. This announcement came on the heels of Chandler’s recent Residential Roofing Contractor of the Year Award and their successful 2012 participation in GAF's "Roofs for Troops" program in which Chandler’s and some of their key manufacturing partners installed affordable new roofing systems in cities such as Carson, San Pedro, Long Beach, Huntington Beach, Costa Mesa, and Palos Verdes for veterans of the United States Armed Forces. The All-American Home Initiative is a simple program that contractors and builders can participate in to help promote their business - while creating more American jobs. “If every builder and contractor followed Chandler’s Roofing in this initiative and committed to using just 5 percent more American-made products, it would create over 220,000 jobs in the United States,” explained Jake Lewendal, of Anders Lewendal Construction Inc. and builder of the first All-American Home. “Chandler’s Roofing is committed to not only supporting and promoting a strong Made in America initiative within the roofing industry, but we’re thoroughly committed to rebuilding a stronger Southern California region, one job and one roof at a time,” stated Trevor Leeds, president of Chandler’s Roofing. Recently, one of Chandler’s strongest manufacturing partners, GAF announced at The International Builder’s Show (IBS) in Las Vegas, Nevada that it became a primary sponsor of the All-American Home Initiative. “GAF is actively investing in America to support customers all over the world. Our research shows that 83 percent of homeowners favor American-made products and 82 percent favor products from American-owned companies, and GAF is proud to be able to fulfill both of these expectations for consumers not only in Southern California, but all over North America,” commented Paul Bromfield, senior vice president of marketing at GAF.  Additionally, Chandler’s Roofing has sourced and implemented other American-made products into its roofing system installations over the past several years, including caulking, nails, roofing tiles, underlayments, Elite Tubular Skylights, and even the Ford trucks it’s installers drive. Chandler’s Roofing has added over 10 employees in the last 12 months, invested heavily in its operational capacity and is poised for tremendous growth in 2013. “We had a tremendous year in 2012 and are banking on the fact that the economy is going to continue to improve, more roofs are going to be repaired or replaced this year and more Southern California residents are going to get onboard with the concept of completing their home improvement projects with American-made products,” added Leeds.